"Best F(r)iends," starring cult-movie heroes Tommy Wiseau and Greg Sestero ("The Room"), debuts in movie theaters nationwide this spring. The new Wiseau-Sestero dark comedy thriller is written by Sestero, the New York Times best-selling author of "The Disaster Artist," which was adapted into an Oscar® nominated Hollywood film. 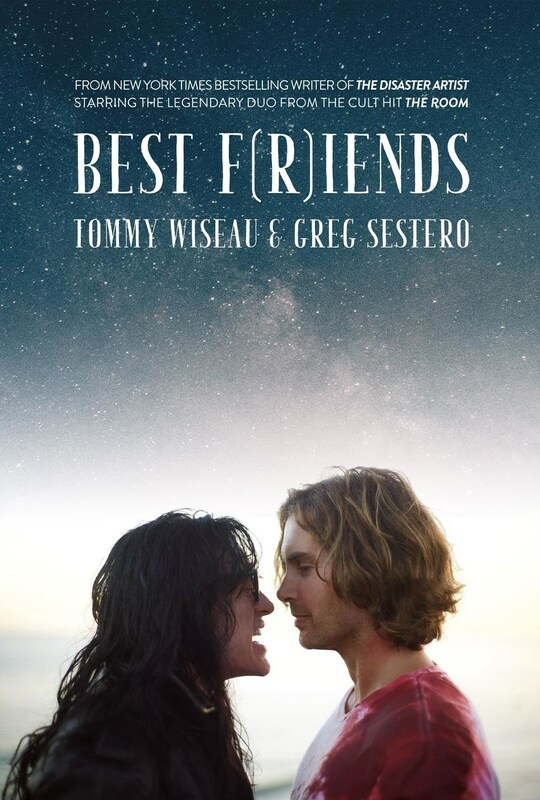 Inspired by a road trip made by Sestero and Wiseau after the production of "The Room" in April 2003, "Best F(r)iends" will be released in two volumes, for two nights each. "Best F(r)iends" comes to cinemas nationwide on March 30 and April 2, with "Best F(r)iends: Volume Two" following on June 1 and June 4, all at 8:00 p.m. local time. In addition to viewing the feature content, attendees will also see exclusive behind-the-scenes footage and outtakes. Tickets for "Best F(r)iends" can be purchased online by visiting FathomEvents.com or at participating theater box offices. Fans throughout the U.S. will be able to enjoy the event in nearly 600 select movie theaters. A complete list of theater locations is available on the Fathom Events website (theaters and participants are subject to change). When a drifter (Sestero) is taken in by a peculiar mortician (Wiseau), the two hatch an underground enterprise off the back of the mortician's old habits. But greed, hatred and jealousy soon come in turn, and their efforts unravel, causing the drifter to run off with the spoils and leaving the mortician adrift. An expedition across the Southwest introduces wild and crazy characters through a series of twisted and dark foibles as both men learn a valuable lesson about friendship and loyalty. "When we unveiled the 'Best F(r)iends' trailer at our cinema screenings of 'Tommy Wiseau's The Room' in January, fan response was overwhelming," Fathom Events VP of Programming Kymberli Frueh said. "This spring, we are excited to bring this reunion of friends to fans of Wiseau and 'The Room' everywhere." "Best F(r)iends" also stars Paul Scheer ("the League," "Human Giant," "Veep") and features a musical score created by Daniel Platzman of Imagine Dragons. Fathom Events is the leading event cinema distributor with participating theaters in all 100 of the top Designated Market Areas®, and ranks as one of the largest overall distributors of content to movie theaters. Owned by AMC Entertainment Inc. (NYSE: AMC), Cinemark Holdings, Inc. (NYSE: CNK) and Regal Entertainment Group (NYSE: RGC) (known collectively as AC JV, LLC), Fathom Events offers a variety of one-of-a-kind entertainment events in theaters such as live performances of the Metropolitan Opera, top stage productions including Newsies! The Broadway Musical and George Takei's Allegiance, major sporting events such as Mayweather vs. McGregor, epic concerts with artists like Grateful Dead and Dixie Chicks, the yearlong TCM Big Screen Classics series, inspirational events such as Steve McQueen: American Icon and In Our Hands, and beloved anime titles like Princess Mononoke and Spirited Away. Fathom Events takes audiences behind the scenes for unique extras including audience Q&As, backstage footage and interviews with cast and crew, creating the ultimate VIP experience. Fathom Events' live digital broadcast network ("DBN") is the largest cinema broadcast network in North America, bringing live and pre-recorded events to 897 locations and 1,387 screens in 181 DMAs. For more information, visit fathomevents.com.